The period of partitions was an extremely difficult time for Polish science. Unrestrained research, as well as the continuity of research in particular branches of knowledge, were out of the question. 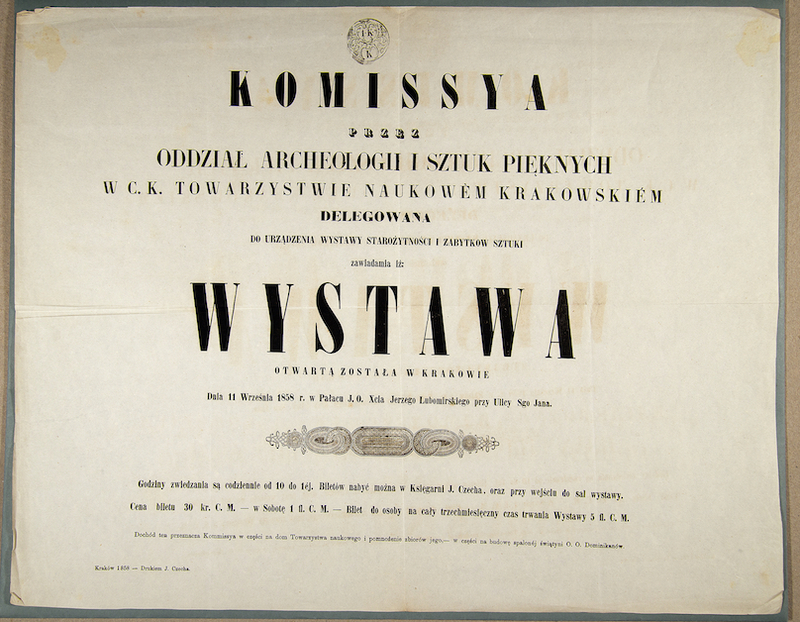 Under those circumstances, the Cracow Scientific Society, operating between 1815 and 1872, undertook the arduous task of developing Polish science, among others by initiating and shaping scientific research, publishing and organising scientific life. For years the Society was supported by the most prominent representatives of Polish science and culture, including Prince Adam Jerzy Czartoryski, Ignacy Domeyko, Aleksander Fredro, Oskar Kolberg, Joachim Lelewel, Jan Matejko, Adam Mickiewicz and Jan Śniadecki. 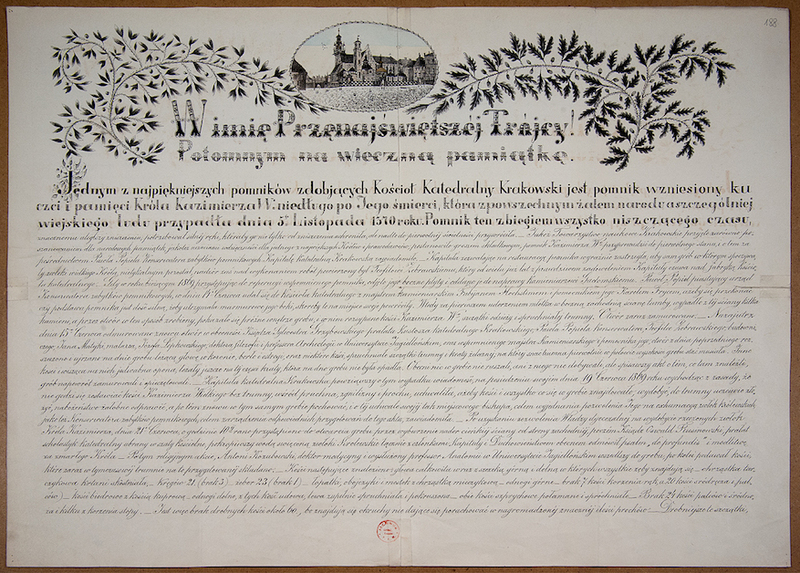 The Society, at the beginning associated with the Jagiellonian University, was the precursor of the Academy of Learning (1872), now called the Polish Academy of Learning. 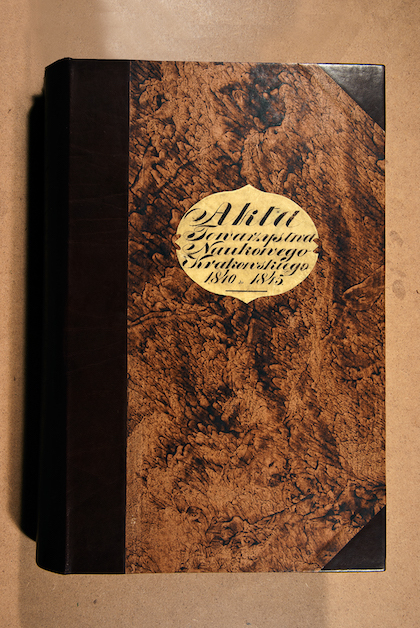 The collection of records of the Cracow Scientific Society, containing about 2.5 running metres of books and loose documents, is a one of a kind, detailed description of the operation of the institution, which – through the development of sciences and education of subsequent generations – laid the foundations for an independent Polish state. The files are all the more valuable considering that for years the Society was the only organisation of this sort in Poland, and the documentation of its activity has been almost completely preserved (the documents survived the period of partitions and the two world wars without major damage). 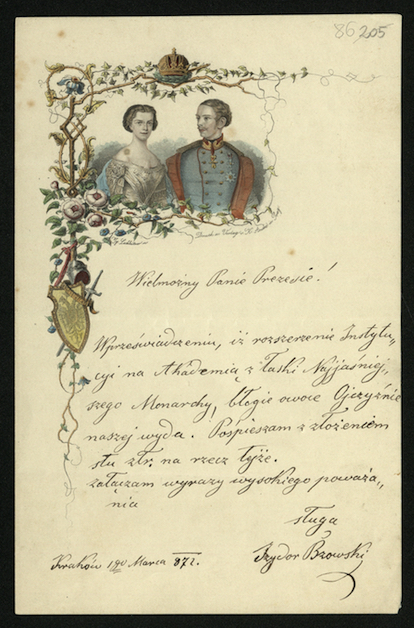 Diligently written correspondence registers, books of protocols, files of divisions and commissions, as well as property and financial documents form material evidence for the development of modern Polish science. They include extremely valuable material for the study of the history of the humanities and sciences (among others botany, geology and zoology), Polish literature and language, as well as pioneering initiatives concerning the protection of historical monuments and archives. 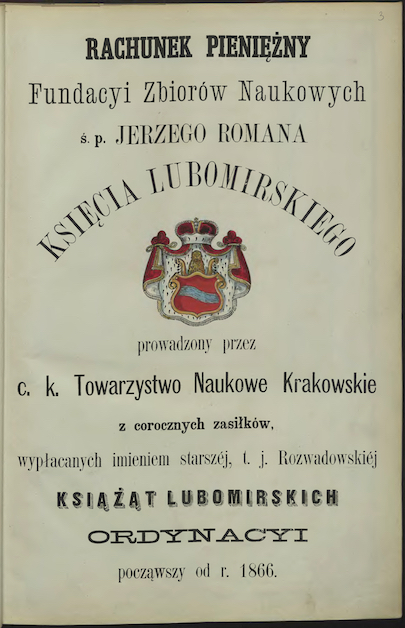 Moreover, the files of the Cracow Scientific Society document the process of its transformation into the Academy of Learning, showing the further path of organisational and scientific development of the only scientific institution on Polish territory, representing Polish science during international contacts.